March 17, 2012. Yesterday was 16th March, her mom went to the post office to take the parcel. 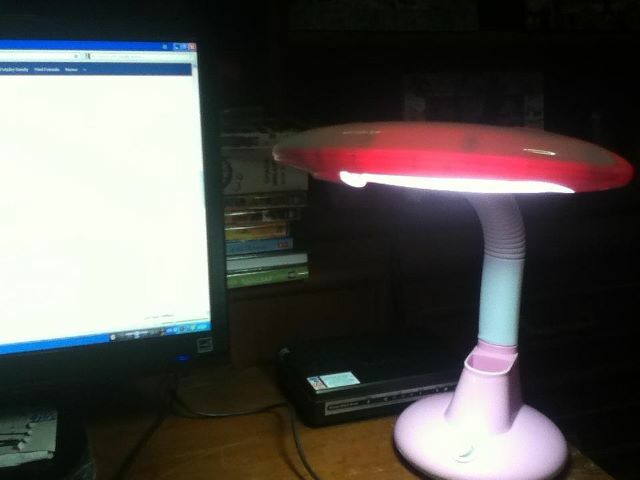 Yes the table lamp i bought! So now she can read books in the dark or at night, thanks to the lamp. Oh and before i forget to tell you people, Patchy is sick since last week i think. She had a fever, cough, headache, toothache, ears hurt. Something wrong with her throat, she went to see the doctor and the doctor gave her pills. I was worried like hell, but now she is getting better which relieves me a bit. I made a video for her.